Disposable Heroes: Why does the NFL no longer value free-agent safeties? “We didn’t sign Odell to trade him,” Giants GM Dave Gettleman said Wednesday. From thunderstorms to brutal cold, NFL teams across the country will face adverse weather conditions this week. There are controversies in every NFL season, and we try to identify which 10 might become an issue this season. From John Ross’ fancy footwork to Saquon Barkley’s electrifying first carry–take a look back at the best play of the preseason from all 32 NFL teams. Beating long odds is kind of Mark Herzlich’s thing. 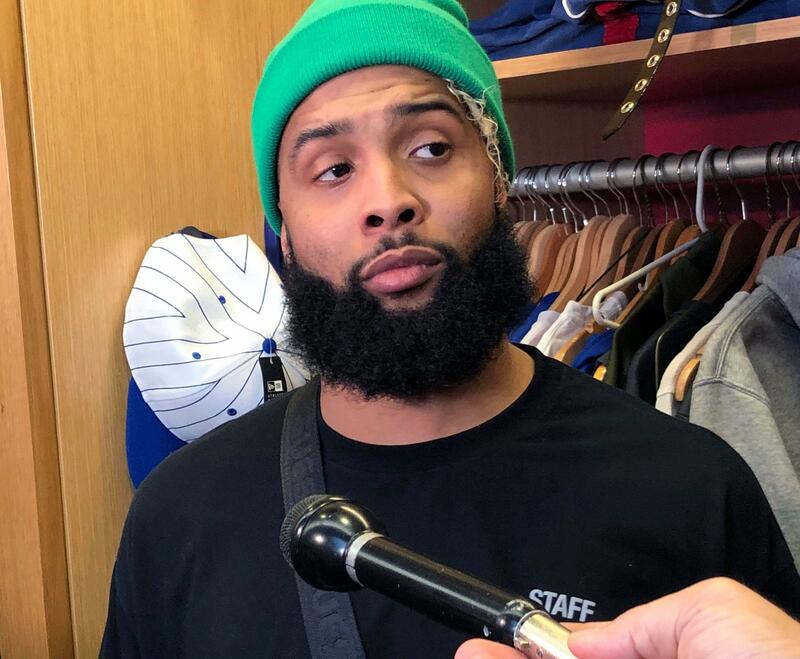 But his invitation for Donald Trump to visit the Giants locker room is in vain. New coach Pat Shurmur wants the New York Giants to do the right thing when the national anthem is played before NFL games this season, and that could be a problem. While there were only a few players kneeling during the anthem at the end of last season, two are currently on the Giants’ roster. One month ago, the 49ers weren’t sure if they could get the guy they coveted. So they locked up the guy they had. Once they got the former, the latter became expendable. Only Jimmy Kimmel could get some of the biggest stars to read troll talk from Twitter. Just in time for the Super Bowl on Sunday, the late-night host brought together Peyton Manning, Jason Pierre-Paul, Terry Bradshaw, and more stars from the world of the NFL for the latest installment of Mean Tweets.